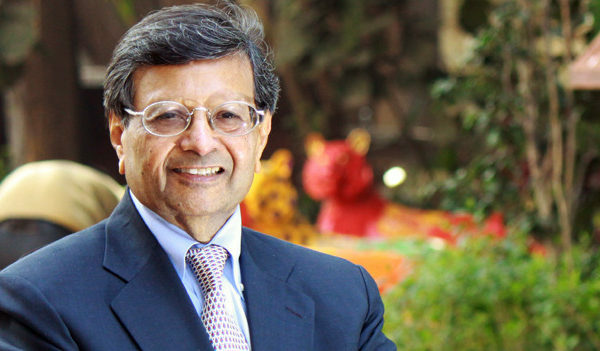 Professor Sheth’s paper on “How Climate Determines Consumption and Culture” is based on his most recent book Genes, Climate and Consumption Culture: Connecting the Dots (Emerald Publishing 2017). Everyone knows that there are differences across cultures in our consumption of necessities such as food, shelter, and clothing. However, we don’t know why these differences persist despite globalization. In a recent book I published, Genes, Climate and Consumption Culture: Connecting the Dots (Emerald Publishing, 2017), I document that consumption as well as cultural differences such as individualism, punctuality, and territorialism are due to the North-South differences in Climate ranging from the arctic to temperate to tropical climates. My interest in climate grew out of a research study we were doing for Coca Cola International. Coca Cola consumption varied enormously from country to country. It was as low as 64 bottles per year per capita in one country and as high as 400 bottles per year per capita in other countries. Given that this was an empirical observation, a large-scale correlation analysis revealed that more than 95 percent of the variance can be explained by two factors: climate of the country and age of the population. Warmer countries with young populations consumed more Coca Cola and vice-versa. The highest per capita consumption was in Mexico (400 bottles) and the lowest per capita consumption was in Sweden (64 bottles). Furthermore, the country’s climate was twice as important as the age of its inhabitants. Climate is the root cause of who we are genetically, how we behave culturally, and how we behave as consumers of three basic necessities common to all civilizations: food, shelter, and clothing. The best way to illustrate consumption differences in food, shelter, and clothing is to contrast Northern and Southern Europeans. In the North above the Alps, the source of protein, calories, and fat is animal because of the lack of vegetation. Therefore, the Northern European diet tends to be what we refer to as meat and potatoes. In contrast, the Mediterranean cultures have more lentils, vegetables, nuts and fruits in their diet because they can grow them. The Northern European diet tends to be less spicy, whereas tropical countries such as India have an enormous variety of spices. In my research on cheese consumption, I was surprised to discover that the fat content of cheese (Swiss) in cold climates is very high (40 percent or more); it drops to low-fat content (2 to 3 percent) in the Mediterranean temperate climate (feta and mozzarella); and the concept of cheese is conspicuously absent in tropical climates. For inhabitants of tropical climates, saturated fat comes from olive oil, coconut oil, and avocado, for example. Northern Europeans depend on animals for clothing materials and, therefore, their preference is for wool and leather. Whereas, warmer climate cultures have access to cotton and linen. Northern Europeans prefer multiple layers and tight-fitting clothes to create insulation, but in warmer climates loose, single-layer, free-flowing garments that provide ventilation are more prevalent. Given that vegetation is not possible in Northern Europe, the preference is for pastel colors in clothes. 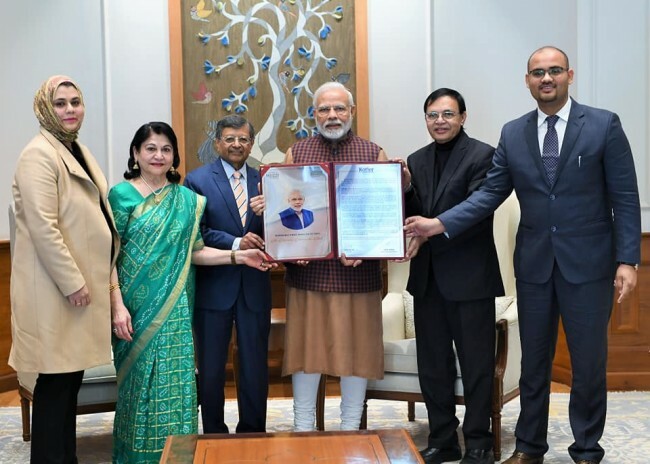 On the other hand, warmer climates prefer a colorful display of clothing, as exemplified by Indian Saris, native African garments, and colorful Pacific Island outfits. Finally, boots are replaced with shoes, shoes are replaced with sandals, and sandals substitute for thongs in migrating from arctic to temperate to tropical climates. The shelter differences are also due to climatic adaptions. Northern Europeans have access to forests; therefore, most construction raw materials are wood and stone. In tropical climates, the preference is for clay and bricks. Wood material is indeed undesirable in tropical climates due to termite and other insects. The roof design in the North is typically “A”-shaped to allow for snow to roll off the roof, whereas it is usually a flat roof with a gentle slope for rainwater to drain in warmer climates. The outdoors and indoors are insulated in cold climates, where one often sees the presence of a foyer as transition space. In warmer climates, indoor and outdoor boundaries are often blurred and indistinguishable. This type of housing is best typified by Spanish villas. High ceilings are most prevalent in hot and humid climates to allow air to rise. Finally, color preferences are significantly different for homes in arctic, temperate, and tropical climates. Instead of East-West differences, focus on North-South differences in consumption. Genes, Culture, and Consumption are all determined by climate zones. Cultural differences in punctuality, uncertainty avoidance and individualism are all reflections of climate. Sheth, Jagdish N. “Climate, Culture and Consumption: Connecting the Dots” The 12th Distinguished Faculty Lecture, February 6, 2007. Emory University. 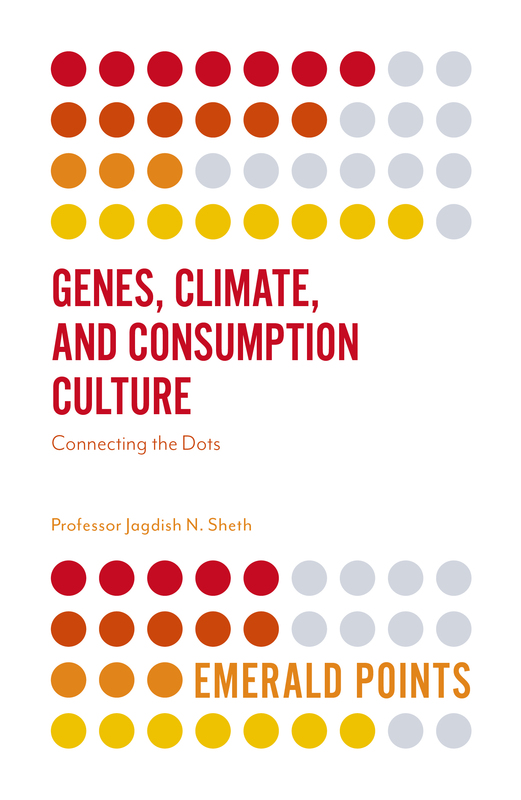 Sheth, Jagdish N. Genes, Climate and Consumption Culture: Connecting the Dots, Emerald Publishing, 2017. Diamond, Jared (1997) Genes, Germs, and Steel, W.W. Norton, New York. Hall, Edward T (1959) The Silent Language, Doubleday, New York.